Currently, there are approximately over 150 Million blogs worldwide with a large majority of them talking about the same things, in same boring way. Millions of them look the same, many bloggers express themselves the same way and even more are blogging without passion, authority, concrete goals and without having a respectable brand. Many of us fail to realize that while we blog expecting to achieve success, we are also responsible for our personal brand. Aim for the sky! If your blogger friends want to achieve or are achieving $1,000 per month, shoot for $2,000 per month. Never limit your goals to match your peers or environment. Spend the time to read and study other bloggers in the blogosphere. However, not just the smaller newbie bloggers who may be on the same level as you but try to learn from the “big guns.” Never size up your competition by analyzing the weakest opponents. Ignore them, they will compromise your judgment and cause you to aim lower. Your blog should be serving a purpose, whether its to provide financial guidance, video tutorials, news, etc. Find out if those are the things readers want or need or may not even know it yet. Get on the grind and think of a unique way to fill a need or provide a unique service through blogging. Your audience will thank you and you will stand out as a pro blogger. If you’re not a skilled designer/developer, hire one here who can give you the entire package: Awesome logo, killer user-friendly site design, robust theme, the works. If you want to build a brand your design needs to be unique and stands out from the everyday regulars. Choose a domain name that somewhat describes what you do. It will stick in the minds of your readers much easier. If the .com top level domain (TLD) is not available and is in use by someone else, never ever use the same name with .org, .net or any other TLD. You will be placing yourself in unnecessary competition with the owner of the .com since readers will remember this much easier. If you wish to have your name as a domain name, this has its pros too since you will be building a more personal brand with your name ringing all over the net in the forefront, whereas describing what you do in your domain name will help with SEO and thus better search results. If it will take you more than a couple months to execute your plan to build your blog, you definitely need a coming soon page that provides a little teaser of what is to come. This builds anticipation in the minds of those who have encountered your site. Have options for readers to subscribe to your newsletter that will in the meantime provide e-mail updates. Ensure it also has links to your social profiles like twitter, facebook, linkedin, etc. 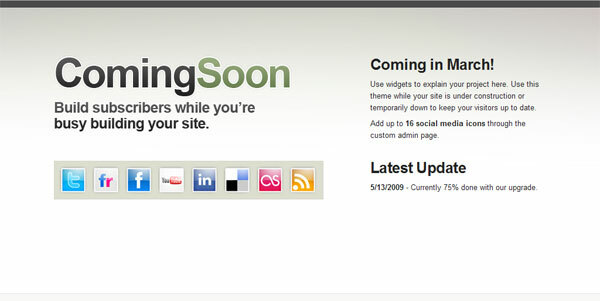 Start promoting your blog and begin commenting on other sites with your URL of your coming soon page. Use that URL in everything online. In a couple of months when you’re ready to launch, your domain would have already been crawled by search engines and could have gained a couple google page ranks which builds your search engine authority even before your launch. Be consistent with your topics, names and all other forms of branding and design. Create a tagline that sticks and use it all around the web. Similarly, brands like McDonald’s, Coca Cola and Nike use their logos consistently in everything they do and captures the consumers’ attention by providing consistent quality regardless of recessions, lawsuits or any other challenge. Use a consistent name with your tagline when commenting on other sites. For example, “Robyn Samuda – Social Media Expert” along with the domain name in the comment form. Guest posting is a surefire way to get your brand and your name out there in the blogosphere. Always guest post on sites with superb quality and reputation. Unfortunately, most of us judge others based on association and it applies to blogging as well. In addition, guest posting allows a couple link backs to your site which will improve rankings in search engine result pages (SERP) and can easily drive unique visitors to your blog. Try to guest post on at least 2 sites per week and within a couple of months your massive increase in traffic will surprise you. Time and again we may seek inspiration from news stories, events and other bloggers. However, never copy and post the same information. Nobody wants to read old news, especially old news that is copied and pasted. Don’t get me wrong though, you can write about current happenings even if it has been reported already but always find a way to provide deeper insight, provide graphs and other research material that is not readily available elsewhere. This will make you stand out as the pro in your niche. There we have it. Building your brand is easier than you may immediately realize. The key is to always be consistent with your targets, your image and evolve as you master the blogosphere and strive towards being exceptional. Discussion: What do you think you could achieve with a personal brand that stands shoulder to shoulder with the biggest blogging names you can think of? Massive dream and yet it is possible. How have you been able to build your brand and stand out? Please let us know. I think that building a brand is a work-in-progress, at least for most of us. And it takes time. As for me? I like the results that guest blogging provides, and try to do it as much as time allows. Brand building is definitely a work in progress task that requires lots of creative thinking and going the extra mile to always produce and guarantee excellent content. Guest posting leverages the audience of other sites’ communities. A personal blog can absolutely stand toe to toe with the big boys. One of our posts is a great example from last year. We blogged about the first time home buyer’s tax credit and the post is still pulling comments. The last count was over 2,600 and still going. Hey Charles, thanks for commenting. Wow, 2,600 comments! That’s amazing for one post. I checked out your site and the good thing about it is that you are focused on your niche. Your audience seem to know you for your valuable content in real estate. 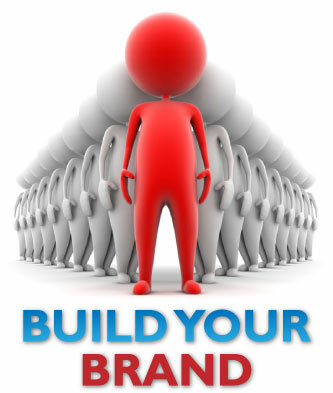 You are in an excellent position to continue building your brand and influence. 1) Write on a regular basis. This will never disappoint the eager readers and subscribers. 2) Write on the same topic. This will keep your readers focused on what you’ve promised to write on. The result will be you in their minds as a pro who constantly provides quality content. Thanks for taking the time to comment Rahman. Those are good points to add. Quality content is just as important as consistency and focusing on a particular niche. This way, a blog will attract more targeted traffic rather than random visitors who really do not add value. Start using social media sites before launching your website and other sites which tell the value of your websites. It will help you to get your websites indexed by Google quickly and you will also get PR in short time. Creating your own blogging style can really be challenging, especially developing one that really stands out. I tend to write as how I speak and the results are usually unique. However, developing the winning writing style does take time and lots of experience. Excellent, I’m a big fan of Frank Rabaska’s ( Spell Check? ) and his authoritive views on authorship. It’s nice to see another website dedicated to Franks message. making a unique style is, in my opinion, the hardest thing a blogger has to do. With thousands of blogs out there, you cannot really compete without having similarities with the others even you don’t intend to be alike. It definitely is difficult to create that unique style but the benefits are well worth the work. The more you aim to be unique, the greater the chance for standing out and being noticed. You’d be surprised the amount of bloggers who focus on what others are doing and subconsciously emulate them. Even if the practices are ridiculous. Until you define your brand/niche, unfortunately EVERYTHING seems doable and thus, the confusion:) Great & valuable info-thanks! Thanks for reading Clara. I actually went through that phase but having gained a little experience I was able to finally focus and start seriously blogging. This is a great post. I should have read this one before starting to blog. Well, I can always start another blog. 🙂 You are really a pro. Yeah, really all of them will help a blog become successful. And will you allow guest posting here? You can submit guest entries via the contact form but there is no guarantee that we publish all submissions. Loved the entire post, we started our site recently, and I am pleasantly surprised to see that we have managed to implement many of the above mentioned techniques successfully. However, the journey is quite long. Brand Building is a long process. Anyway, Have a great time! Good tips. Crucial points you did not mention are “Keyword research” and “Domain name”. The keywords selected must have high traffic, not too competitive and relevant to your niche. The domain name you register should preferably have the same keywords in it. These are often ignored and bloggers who may have excellent content on their blogs often do not find themselves ranking high on search engines. Thanks man! Now I am all set to put a ding in blogging world, I think unique writing style can make you stand out of croud.